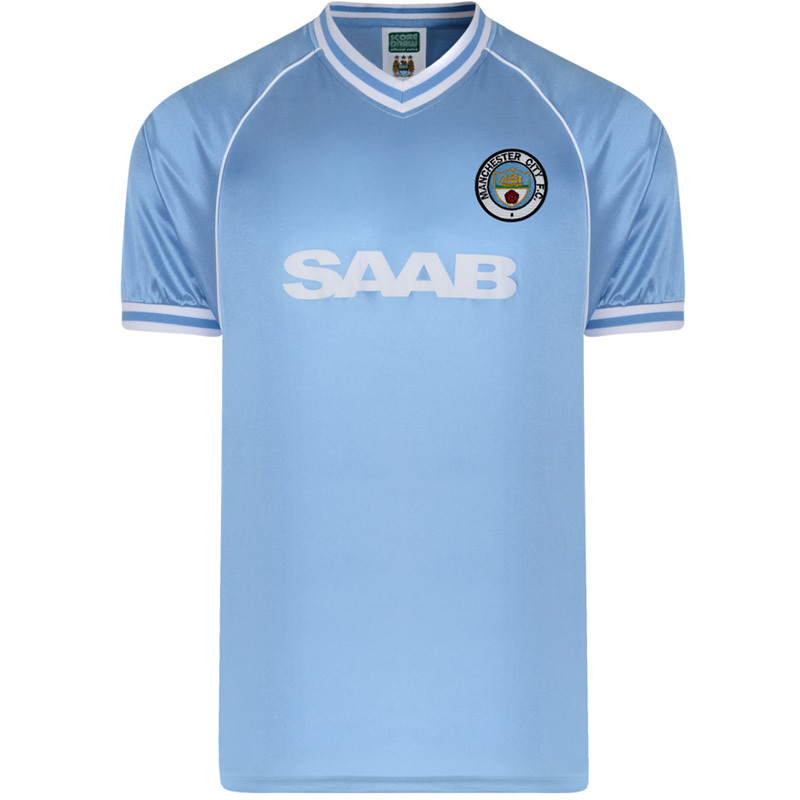 Retro Manchester City 1982 football shirt. A short sleeve shirt with a V neck collar and an embroidered Manchester City club badge and a flock printed sponsor. An official licensed product.